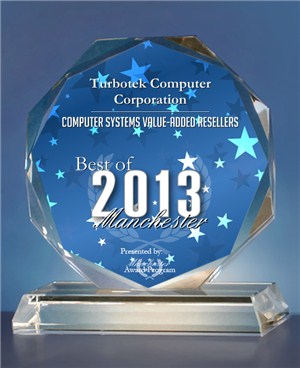 New Hampshire Computer Services company Turbotek wins the Best of 2013 Manchester Award in the Computer Systems Value-Add Resellers classification. "Turbotek is pleased to receive this award representing our commitment to Manchester and surrounding area small and medium businesses," said Sean Kline, President & CEO. "As a managed service provider focused on improving small businesses through technology, our internal capabilities and strong set of partnerships allow us to deliver end results such as improved productivity, reduced risk, better return on capital investment and optimal performance," he continued. The Award Program has honored organizations such as the American Red Cross, Intuit, Best Buy, Merrill Lynch, Microsoft, Edward Jones and others for serving their local communities. Intel has named Turbotek, the small business IT support company, a Gold Partner with Enhanced Benefits. Through its IT Managed Services, Turbotek is unique in that it delivers business results through best-in-class IT process and possesses a depth of hardware knowledge that enables end to end solutions for its customers. According to Intel, Gold Partner status provides Turbotek access to enhanced support, training and other information of great value to our customers using Intel-based systems. Some of the benefits of this partnership level include online training, Intel Technical Notifications, warranty replacement, technical support, and "Ask Intel" resources. Because of Turbotek's Enhanced Benefit status, the company is fortunate to have access to additional executive resources within Intel, technical solutions training, demo purchases, enhanced technical support and advanced warranty replacement. Given that many of Turbotek's customers have Intel-based systems, the Intel Technology Provider program enables a very high level of service from hardware to software to process. "Turbotek is delighted to receive this designation from a long-standing and important partner, Intel, " said Sean Kline, President and CEO of Turbotek. "Having built and shipped tens of thousands of Intel-based systems, Turbotek has a deep understanding of hardware that we bring to bear when advising clients of capital investments, enable productivity on employee systems and provide the best functionality to drive business forward. ", he concluded. HP awarded Manchester Computer Services Firm, Turbotek Computer Corporation, a Small and Medium Business (SMB) Specialist Partner designation. As such, Turbotek has "...met high standards of expertise in the broad range of HP SMB solutions," according to Scott Dunsire, Vice President & General Manager, US Channel Sales. As an HP Specialist Partner, HP acknowleges Turbotek's expertise to grow customer satisfaction. HP continues by indicating that Turbotek has demonstrated best-in-class compentencies and an on-going commitment to the SMB market. As such Turbotek provides Small and Medium Business customers with access to HP markets leveraging its focus and expertise dedicated to their specific needs. According to HP, "Specialist partners understand that each customer is unique. They deploy experienced professionals whose dedication and industry knowledge help assess your specific business challenges and provide tailored solutions to meet your needs." The company continues by stating, "with HP Specialist partners, customers get leading-edge skills and specialized knowledge delivered by a team of experts who are highly recommended by HP." In achieving this award, Turbotek has distinguished itself as "segment and technology experts in providing HP solutions." In so doing, Turbotek becomes "an extension of your staff" according to HP. "Turbotek is delighted to once again be recognized at the highest level of HP's partner program," said Sean Kline, President & CEO of Turbotek. "HP has been a valued partner over our 25 year history and we continue to see excellent results in total cost of ownership, productivity and quality of HP products for the small and medium business," he continued. Mr. Kline concluded by saying, "The least expensive way to run information technology is through a process that includes best-in-breed infrastructure across a variety of domains. 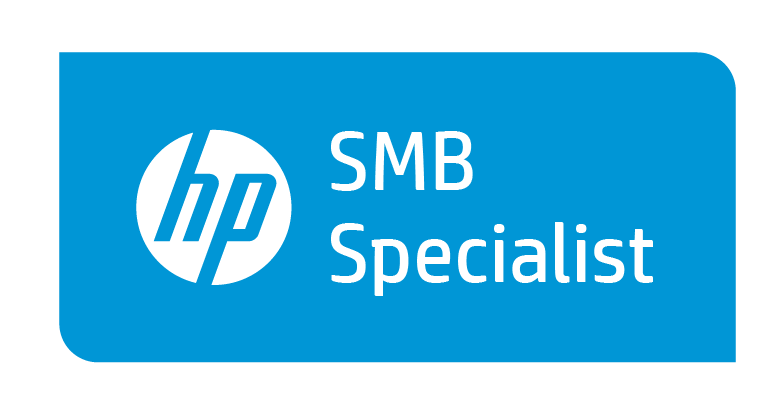 HP certainly epitomizes that distinction and we are very happy to help our customers take advantage of all HP has to offer to improve small and medium business operations."